^ GRE Registration and Information Bulletin 互联网档案馆的存檔，存档日期2009-12-28. ^ Analytical Writing: "Issue" Task Topics. ETS.org. ^ Analytical Writing: "Argument" Task Topics. ETS.org. ^ GRE: Computer Science Test. [January 14, 2013]. （原始内容存档于2013年1月2日）. ^ 23.0 23.1 Kuncel, N. R.; Hezlett, S. A.; Ones, D. S. A comprehensive meta-analysis of the predictive validity of the Graduate Record Examinations: Implications for graduate student selection and performance (PDF). Psychological Bulletin. 2001, 127 (1): 162–181. （原始内容 (PDF)存档于2007-09-27）. ^ Testing service cancels February GRE. （原始内容存档于2007-10-17）. ^ Weiss, D. J.; Kingsbury, G. G. Application of computerized adaptive testing to educational problems. Journal of Educational Measurement. 1984, 21 (4): 361–375. doi:10.1111/j.1745-3984.1984.tb01040.x. ^ Estimating the Effect a Ban on Racial Preferences Would Have on African- American Admissions to the Nation's Leading Graduate Schools. The Journal of Blacks in Higher Education. 1998, 19: 80–82. JSTOR 2998926. ^ The Achievement Gap: Test Bias or School Structures? National Association of Test Directors 2004 Symposia 存档副本 (PDF). [2008-11-04]. （原始内容 (PDF)存档于2009-07-31）. ^ Oshima, T. C.; Morris, S. B. Raju's Differential Functioning of Items and Tests (DFIT). Educational Measurement: Issues and Practice. 2008, 27 (3): 43–50. ^ Sternberg, R. J.; Williams, W. M. Does the Graduate Record Examinations predict meaningful success in the graduate training of psychology? A case study. American Psychologist. 1997, 52: 630–641. ^ 存档副本 (PDF). [2013-07-11]. （原始内容 (PDF)存档于2006-01-10）. 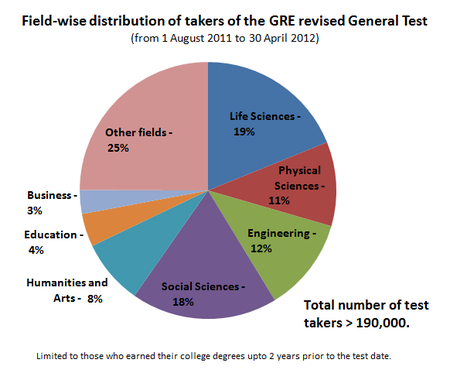 ^ Revisions to the Computer-based GRE General Test in 2008. [2008-01-18]. （原始内容存档于2008-08-22）. ^ GRE考试明年8月实施全面改革. 杭州日报. 2010-07-13 [2010-07-27]. （原始内容存档于2014-04-21） （中文（中国大陆）‎）. ^ GRE Score Select. （原始内容存档于2012-05-25）. ^ 10月GRE考试摆乌龙 500多名中華人民共和國湖南省考生“受伤”/图. 凤凰网. 2010-11-02 [2010-11-02]. ^ Frantz, Douglas; Nordheimer, Jon. Giant of Exam Business Keeps Quiet on Cheating. The New York Times. September 28, 1997 [April 2, 2010]. ^ Computer Admissions Test Found to Be Ripe for Abuse. The New York Times. December 16, 1994 [April 2, 2010]. ^ Boxall, Bettina. Educational Testing Service Sues Exam-Coaching Firm. Los Angeles Times. January 1, 1995 [May 4, 2010].